The tension is building in BBC 1’s The Victim, which is set to reach its devastating climax tonight. 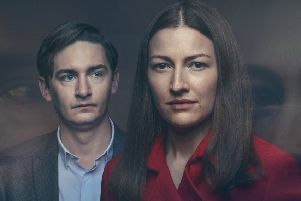 L-R: Craig Myers (James Harkness) and Anna Dean (Kelly Macdonald). 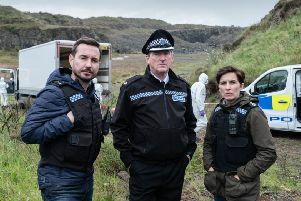 Last night’s episode of The Victim came to a dramatic finale as the true identity of child killer Eddie J Turner was unveiled as Tom Carpenter (John Scougall), the best friend of Craig Myers (James Harkness). However, there were shocking scenes involving the show’s other two dubious characters, William Napier (Nicholas Nunn) and Danny Callaghan (Andrew Rothney), suggesting further plot twists are on the way. Read more: The Victim: when is it on, who is in the cast and what is it about? Written by Rob Williams (The Man In The High Castle, Chasing Shadows) and directed by Niall MacCormick (The Long Walk to Finchley, Complicit), the four-part legal thriller set in Edinburgh and Greenock, documents a trial in which grieving mother Anna Dean (Kelly MacDonald) is accused of identifying Craig Myers online as Eddie J Turner - the man who killed her son 15 years earlier. Anna Dean, a grieving mother whose nine-year-old son was murdered, is played by Trainspotting actor Kelly Macdonald. The accusation results in a vicious attack on Craig Myers and in episode 3, he loses his job and his wife and child move out. Could the real Eddie J Turner still be out there? In episode 3, private investigator Mo Buckley (Pooky Quesnel) discovers that Tom Carpenter is the real Eddie J. Turner, however other characters in the show are still acting suspiciously, leading viewers to speculate over whether we have the right man. Nicholas, a young and troubled drug addict who was seen in an earlier episode getting his blood and urine checked by Anna Dean (Kelly MacDonald) is anxiously waiting for her at the hospital and when she doesn’t appear, he loses his patience and trashes the place. Later we see DI Grover (John Hannah) appealing to Nicholas to admit that he was the person Anna asked to attack Craig. Danny, the boyfriend of Anna’s daughter Louise (Isis Hainsworth) is shifty in the courtroom when the detective who worked on the case involving the murder of Anna’s son Liam 15 years earlier appears. Later we see the detective telling Louise that Danny had been the person who discovered Liam’s dead body and had called the police several hours later. Anna’s other son Ben receives a text message that night from Danny, asking him to come to the garage. Danny appears from the shadows with his hood up and tells Ben he has to go away. How will The Victim end? In the trailer for episode 4, we see Anna speaking to private detective Mo, who tells her that Craig Myers is not in fact Liam’s killer, Eddie J. Turner. Anna is seen admitting to her daughter and lawyer that she was “wrong about Craig Myers". However, whether Mo reveals to Anna the true identity of Eddie J Turner remains to be seen. In the trailer for tonight’s episode we also see Liam’s father, who has just been released from prison, wielding a knife in the diner where Tom is due to meet his social worker. The trailer closes with Craig leaning over a sink in a public toilet as Tom enters with a disturbed look on his face. Does he think Craig has outed him as the real Eddie J Turner? All will be revealed in the final episode tonight. Episode 4 of The Victim screens tonight on BBC 1 at 9pm.